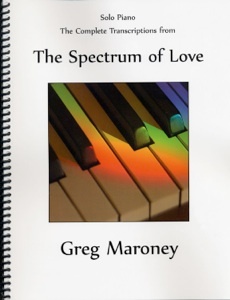 The Spectrum of Love is the companion sheet music book to Greg Maroney’s 2011 CD release by the same name. The project began as a collection of love songs dedicated to Greg’s wife, Linda. In the process of composing the music, Greg was struck by the many facets of love we encounter in our lives. The varied spectrum of those loves each brought to mind a different song. 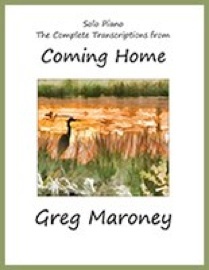 The songbook has been transcribed and edited to be as close to note-for-note accurate to the recording as possible. 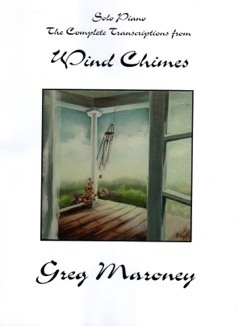 Maroney is an amazing pianist, so some of these pieces are somewhat challenging. Upper intermediate to early advanced pianists should be able to handle any of these songs without a problem, but I would not call any of this music easy. There are a few reaches of more than an octave, but not many. Some of the key signatures are more challenging than others, but if you like sharps, you’ll be in heaven! (The key signatures and the number of pages for each piece are listed below.) Most of the timing is straight-forward, but there are some challenges there, too. Dynamics and expression are provided, as are the metronome settings. Playing the music is a lot of fun, and because of the emotional nature of the music, pianists will enjoy adding their own expression and interpretation of the music. 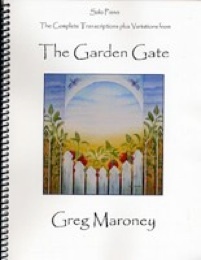 The songbook is available from gregmaroney.com and Amazon. Highly recommended!